The benefits of SEO for your business are really incredible. Not only will it create a user-friendly website and can help you rank higher search engines like google. While those are important reasons to use SEO for your plumbing company, there are a number of benefits that will help your business enormously. Here are four benefits of using SEO for your plumbing company. If you’re looking to attracting more potential clients and customers, the benefits of SEO are awesome for this. SEO will be able to optimize your website so that it will reach people who are looking for your type of service. SEO is becoming more and more popular every year. If there are two companies who sell the same product but one uses SEO marketing for their website, the business who uses SEO is more likely to gain new business based on how they rank in search engines. The benefits of SEO not only help with gaining client’s attention, but it is also one of the most cost effective marketing techniques. How is it cost effective? Because it helps bring in clients who are searching for the service that your provide. Because SEO attracts more customers, it will bring more awareness to your business or company’s brand. If you are needing SEO services for your plumbing company, look no further! We are able to provide SEO services that will get your website more traffic and attract more clients. 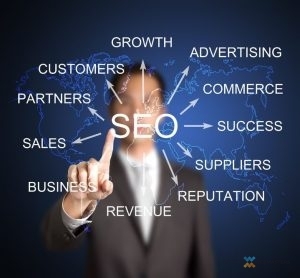 Call us today at (877) 388-9884 for quality SEO marketing.